Retirement savers took a big hit in the last three months of 2018, according to a recent report from Fidelity. This could be because investors clung to their investments despite plunging markets: according to the company, they “stayed the course” despite market volatility. 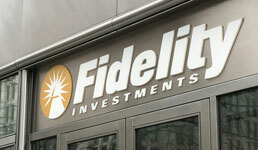 The average 401(k) balance at Fidelity stood at $95,600 at the end of the fourth quarter, 10% lower than the previous quarter and 8% lower than the year prior, the company says in a new report analyzing its more than 30 million retirement accounts. Individual retirement accounts, meanwhile, averaged $98,400 in the last quarter of 2018, which was an 11% drop from the previous quarter and a 7.5% drop year over year, Fidelity says. And the average tax-exempt or 403(b) balance fell 10% to $78,700 in the fourth quarter, which was also 7.5% lower than the year prior, according to the report. Nonetheless, the vast majority of investors made few changes: only 5.6% of 401(k) savers, for example, made any asset allocations in the fourth quarter, Fidelity says. Moreover, 99% of 401(k) savers contributed to their plan in the fourth quarter, which was the highest rate since the first quarter of 2011, according to the report. On average, 401(k) savers contributed $6,850 to their plans in 2018, which tied for a record, and the average IRA saver contributed $4,200 for the year, which was 10% higher than in 2017, Fidelity says.